Donny grew up in Longmont, Colorado, and attended Niwot High School until his family moved to Dallas, Texas. After graduating with his Bachelor of Science in Philosophy from Utah Valley University in 2010, he returned to Dallas and founded a non-profit organization, converting used restaurant vegetable oil into biodiesel, and donating it to school districts to fuel their buses. He soon returned to Colorado, earning his Master of Arts in Religious Studies from the University of Denver. While there, he studied social justice abroad in Austria, and a fire was lit within him to defend the rights of citizens against government abuses. 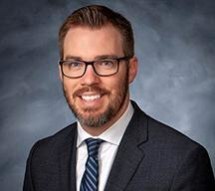 With his newfound calling, Donny attended Washburn University School of Law, earning his Juris Doctorate in May of 2017 and graduating with Dean's Honors. During law school, he was a student attorney in the Litigation Clinic, served as a writer on the Washburn Law Journal, was his law school's American Bar Association Representative, and volunteered with the Veterans Legal Assistance Clinic. He also worked as a judicial law clerk in Kansas' capital city of Topeka, and later clerked for the law firm Fisher, Patterson, Saylor & Smith. After graduating, Donny took the bar exam in Colorado. His Multistate Bar Exam score was in the top 2 percent in the nation. Donny then moved to Fort Collins, where he clerked for the Honorable Thomas R. French before joining the McAdams Law Office in 2018. Donny and his wife, Whitney, enjoy taking their black labs to dog parks, trying out local breweries, watching movies, and snowboarding.